Are you or someone you know in the middle of buying a new crib or putting in that stylish new zoo animal wallpaper in preparation for the newest addition to your family? If that sounds familiar, then weÍve got the perfect shower gift for the pregnant friend in your life. 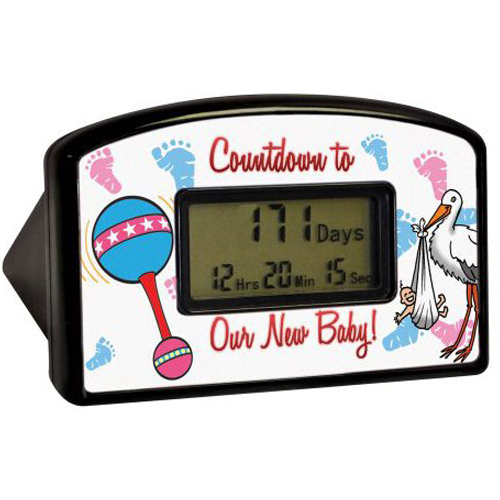 Countdown the days, hours, minutes, and seconds with the New Baby Countdown Clock, the perfect way to get you and your closest family and friends ready for the big day. Plus, the countdown timerÍs clock can also be reset through the year 2099 in case you need it for any future arrivals!